Red Dead Redemption 2 Details Coming Soon | Nerd Much? It’s nice that Rockstar is finally coming out with something more official than delays. Rockstar has revealed on their website and on Twitter that an announcement focused on Red Dead Redemption 2 will be coming next week Thursday, September 28 at 8am PT. It’s anyone’s guess what details the developers will be revealing, but we have high hopes for a trailer and some story snippets. Hopefully it will be the start of much more information to come. If you can’t wait however, you can take another look at the screen shots Rockstar shared back on May 22, 2017. 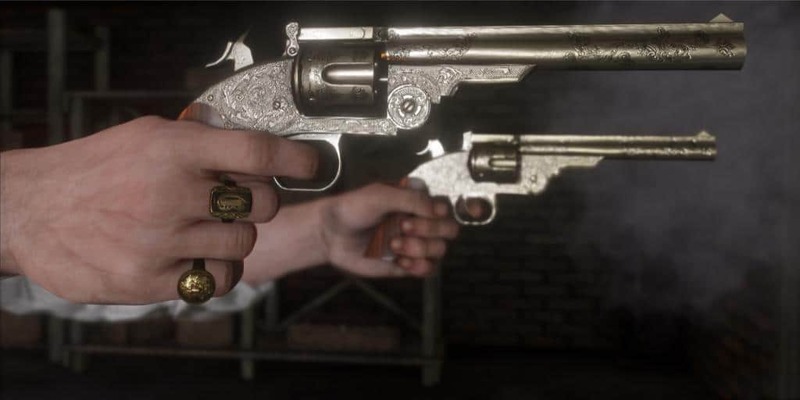 I don’t know why I favor the photo of the revolvers over beautiful midwest scenery, but there you have it. Not that the actual game will look like these screens, but we can dream. 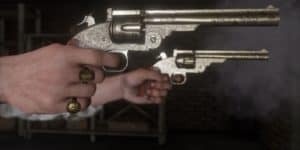 Thus far, Rockstar has stated that Red Dead Redemption 2 will focus on American life in the “unforgiving heartland.” The vast open world will of course be the basis for a “brand new online multiplayer experience” as well. Though admittedly, it sounds like they just described the first game. There have been plenty more leaks regarding Red Dead Redemption 2, though few of them have been sufficiently proven or have been taken down since. The latest one turned out to be a leak for Wild West Online, an MMO from 612 Games. It will be coming to PC soon and is wholly inspired by the Red Dead Redemption game. The alpha and beta should be launching soon, if it hasn’t already. Some rumours have hinted that Red Dead Redemption 2 will be a prequel, with only a few recurring characters. We’ll know for sure next week, regardless. It’s nice that Rockstar is finally coming out with something more official than delays, maybes, and vague graphics to keep fans wanting more. Hopefully anyway, they could also pull a BioWare move and just show us a flip book that may or may not have something to do with Red Dead Redemption 2.